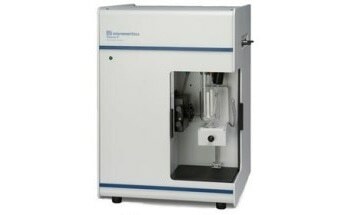 The SediGraph® III Plus from Micromeritics is designed to determine particle size using the proven SediGraph technique with advanced instrumentation features to provide superior accuracy, repeatability, and reproducibility. 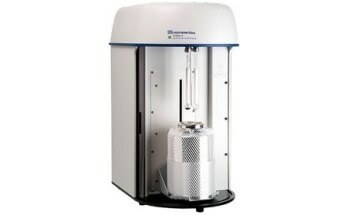 The SediGraph® III Plus directly measures mass by x-ray absorption and determines particle size by direct measurement of settling velocity. Direct measurements require no modelling. Complete particle accountability assures that all introduced sample is accounted for. 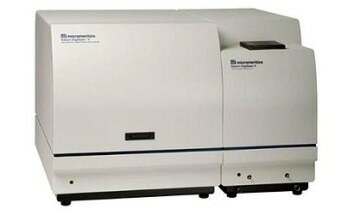 The SediGraph® is capable of determining the equivalent spherical diameter of particles ranging between 300 and 0.1 µm. Scanning the sedimentation cell from bottom to top allows exact inventory of fast-settling particles while reducing the time taken to resolve the separation of fine particles. 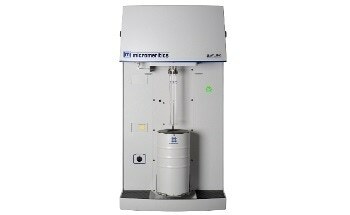 Temperature-controlled analyses ensure that liquid properties stay constant throughout the analysis. Users can choose the appropriate combination of speed and resolution with multiple analysis speeds. Real-time display allows users to monitor the cumulative mass plot of the current analysis and to make immediate procedural changes if needed. The SediGraph® III Plus features a durable, high-precision x-ray tube with a lifetime warranty (seven years). 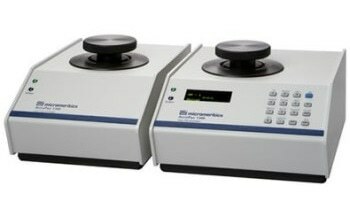 Multiple analyzer control allows two SediGraph® IIIs to be operated at the same time via a single computer, thereby saving lab space and making data storage convenient. Windows® operating software with Ethernet connectivity is provided for networking, point-and-click selection, cut-and paste, printer selection, and more. A highly flexible and interactive reporting system provides numerous custom data presentation options as well as particle settling velocity and grain size in Phi units. 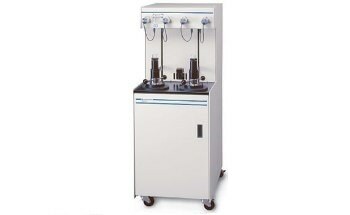 The SediGraph® III Plus can be used in both a controlled laboratory setting and harsh production environment. 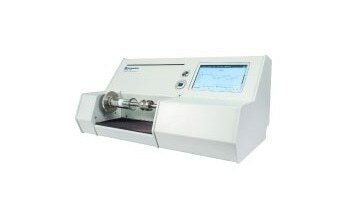 It offers innovative instrumentation features to ensure that measurements can be repeated and simple to execute.